With spring break coming up in less than a month, my mind has been solely on spring outfits. I'm probably a little impatient but I'm ready to put up my riding boots and pick up a pair of sandals. 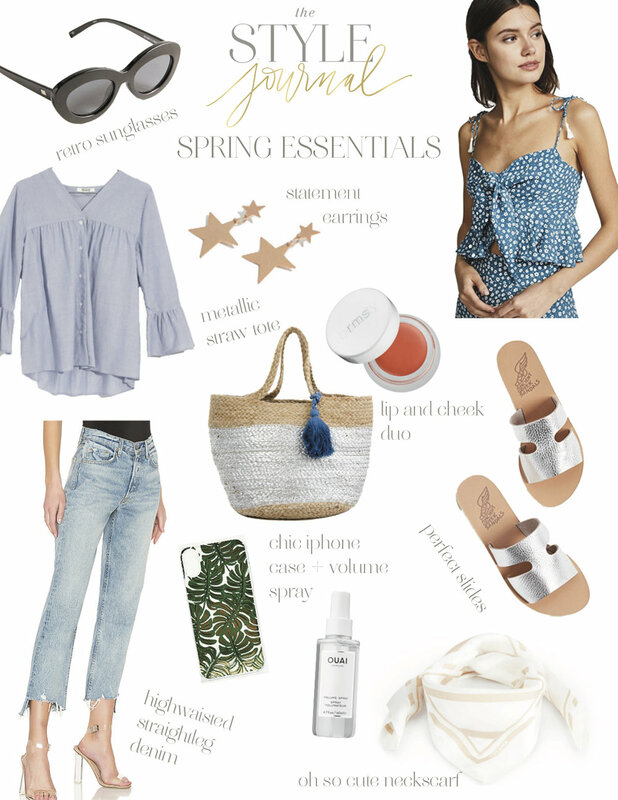 When I think about spring essentials, I think about light wash denim, jean jackets, slides, and loose messy waves. In addition, straw totes are such a simple way to incorporate a warmer weather style and carry it into summer. What I've been obsessed with is the star trend, from earrings, to button down shirts, the pattern is just so cute without being too young looking for my age. Who else is excited about spring outfits?